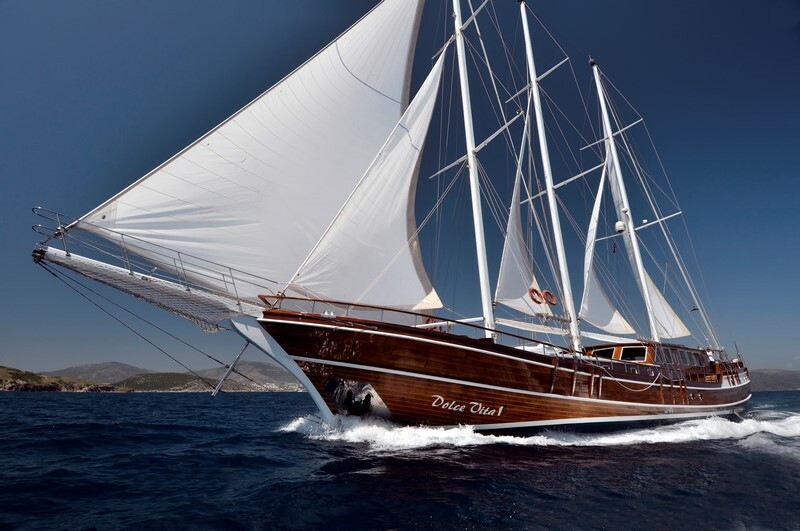 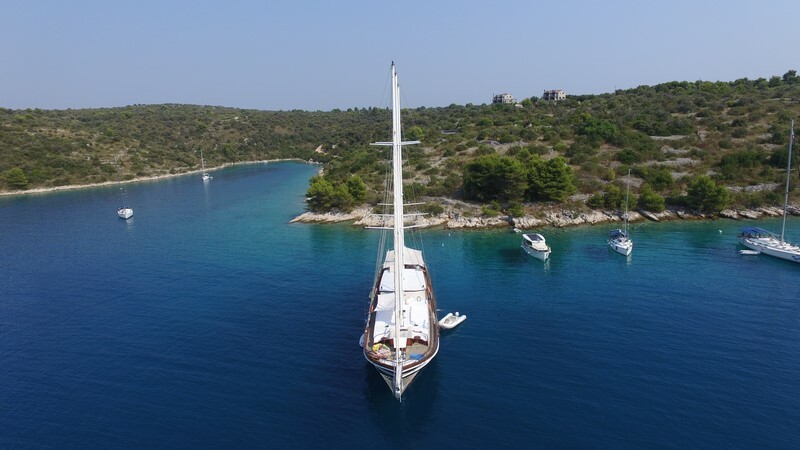 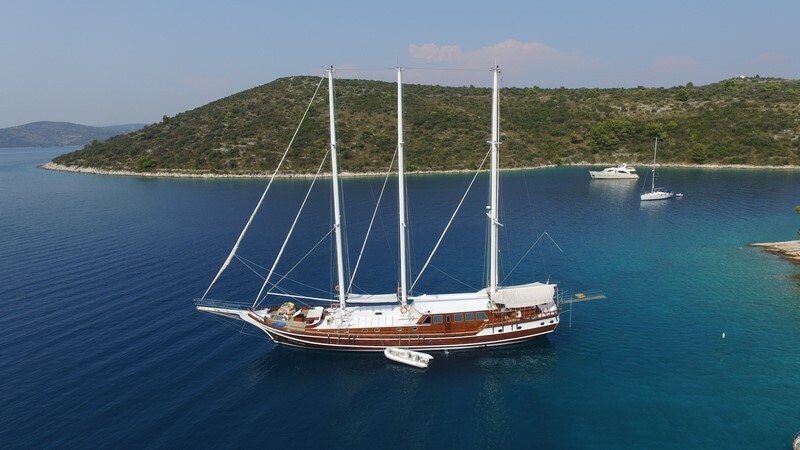 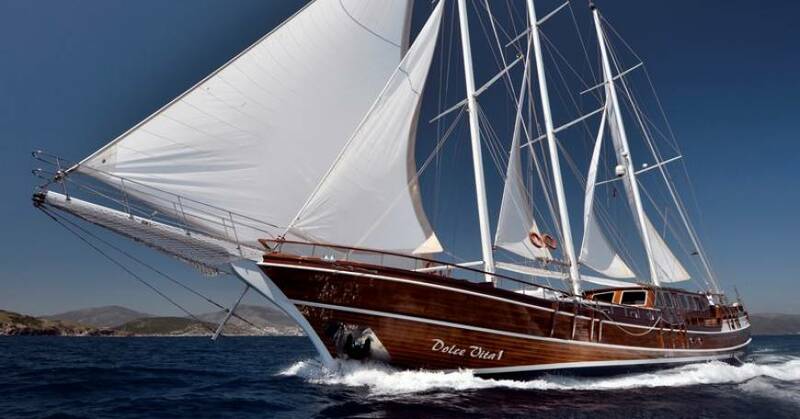 Luxury charter gulet Dolce Vita is a 34 meters long cruising yacht, offering truly comfortable and memorable sailing holidays in Croatia. 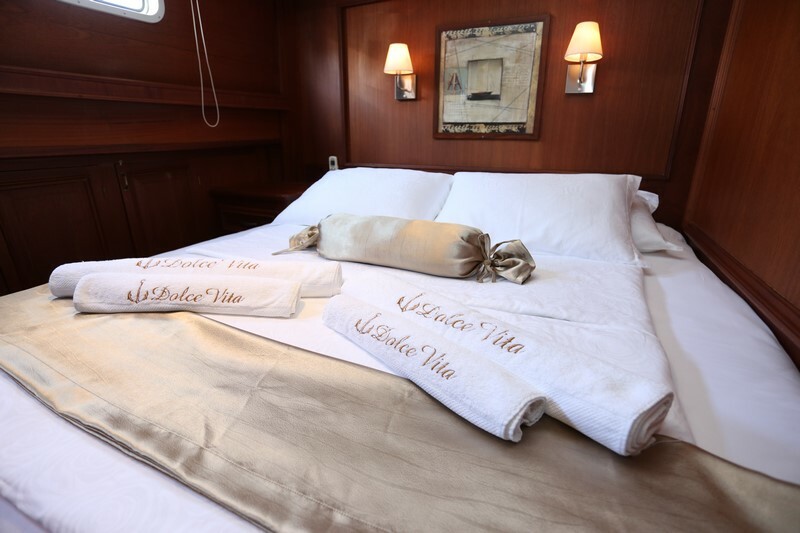 Appointed to a high standard, Dolce Vita is a perfect choice for a relaxing charter cruise along the picturesque Adriatic coast and discovering ultimate summer destinations such as Sibenik, Dubrovnik, Zadar, Trogir or lovely Dalmatian islands of Kornati, Hvar, Brac, Vis and Korcula. 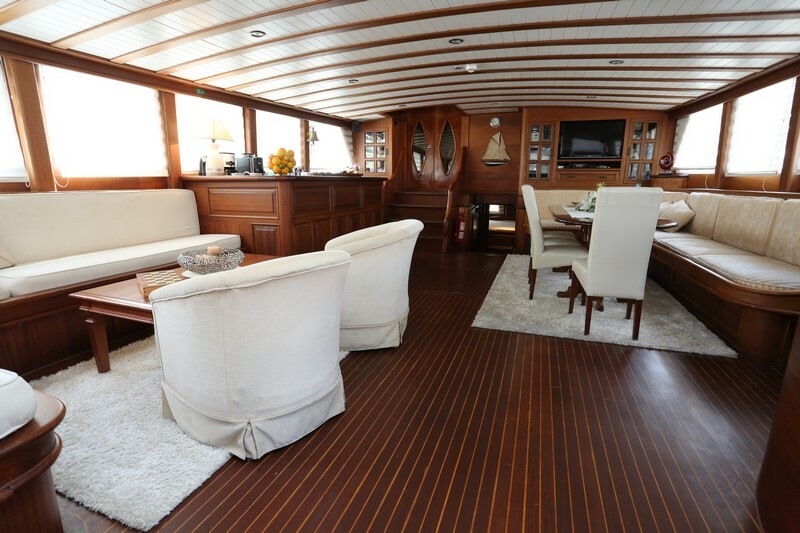 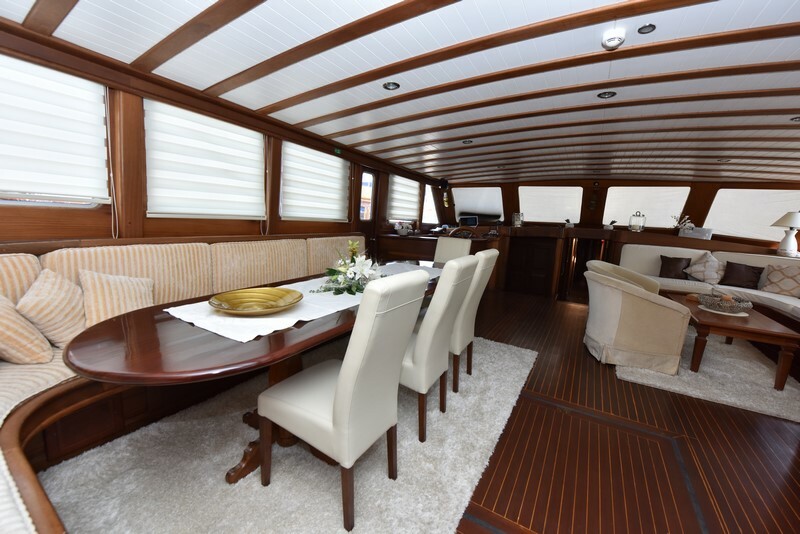 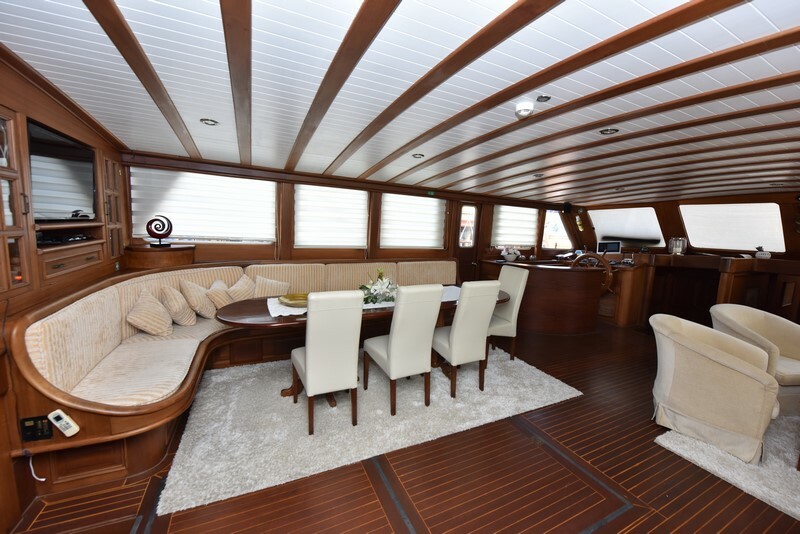 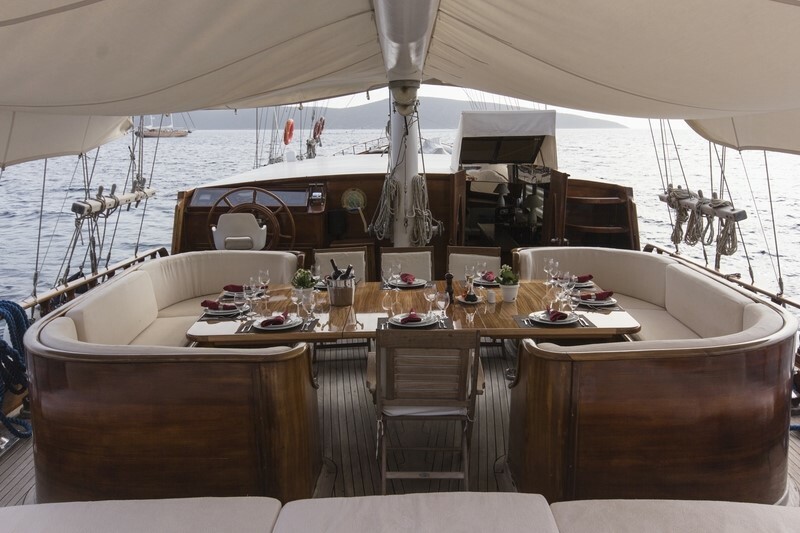 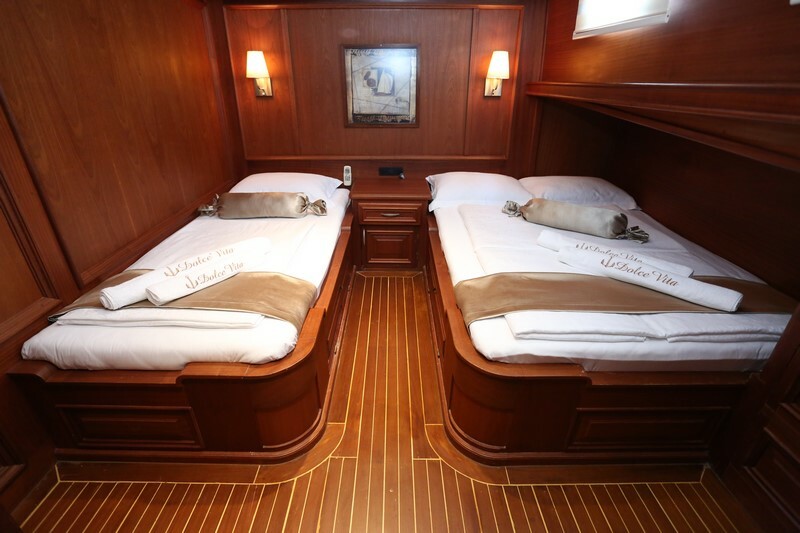 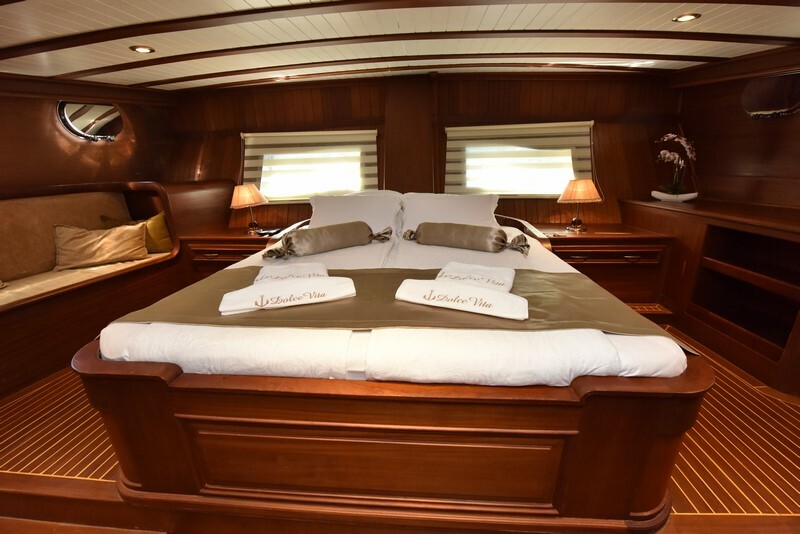 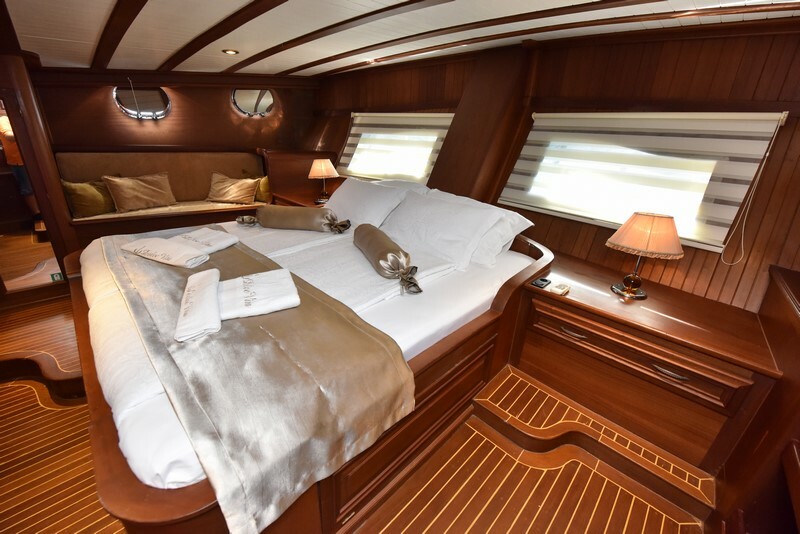 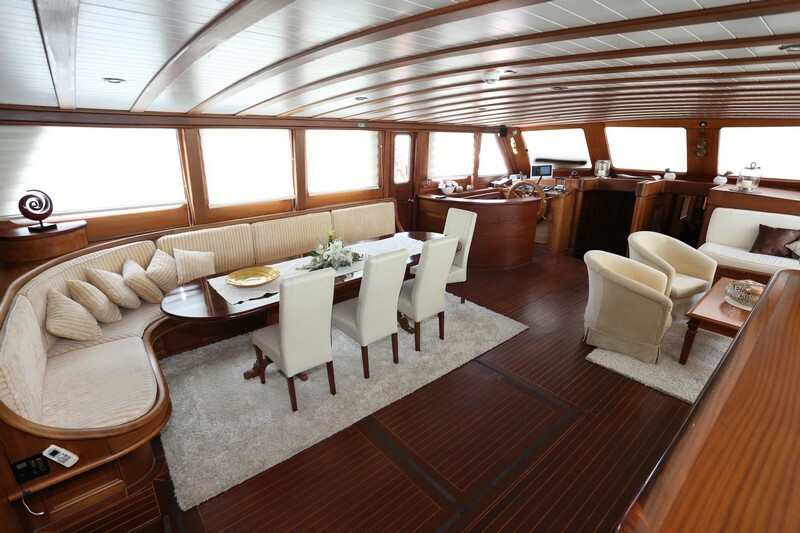 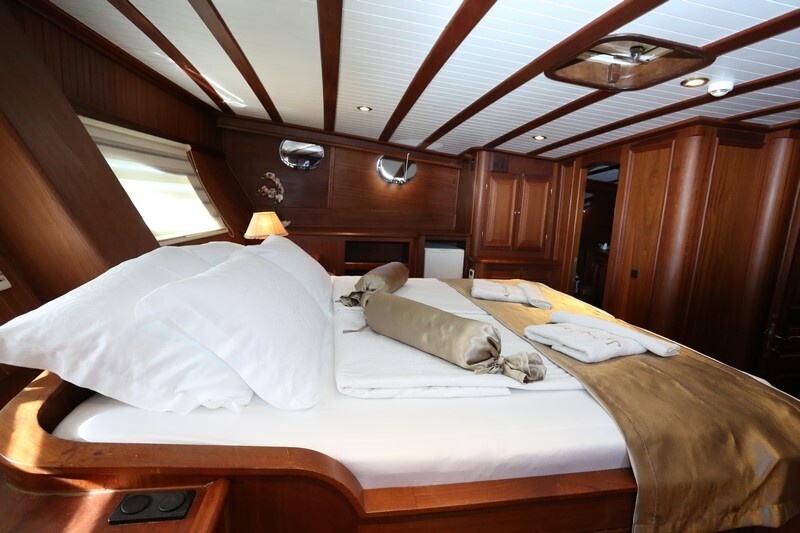 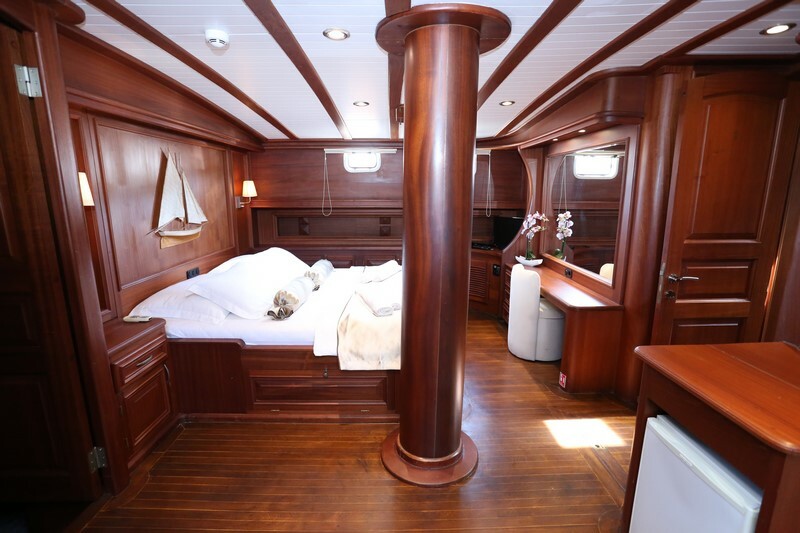 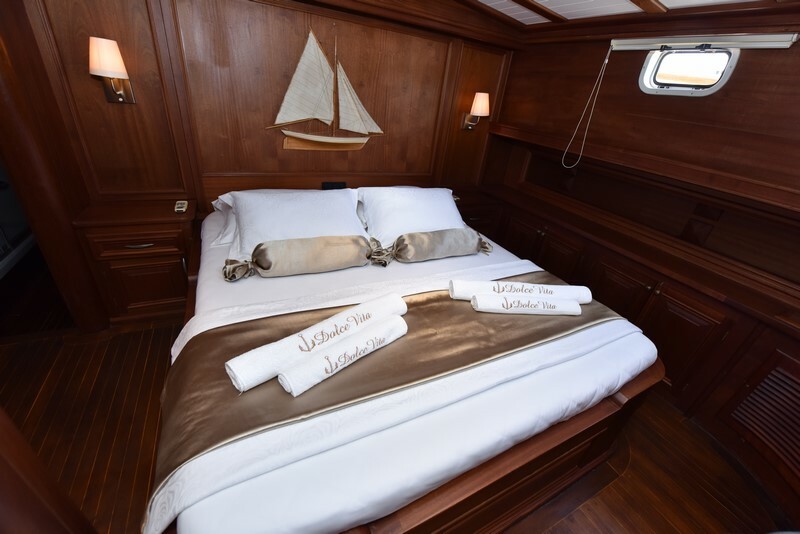 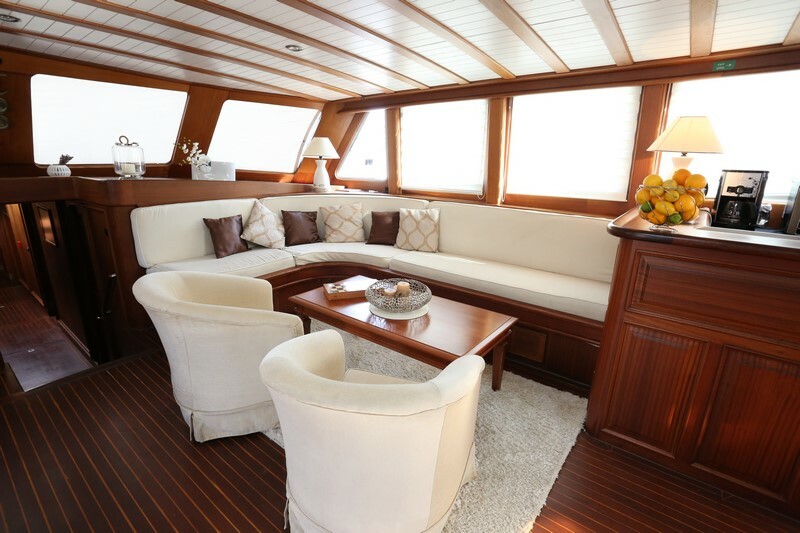 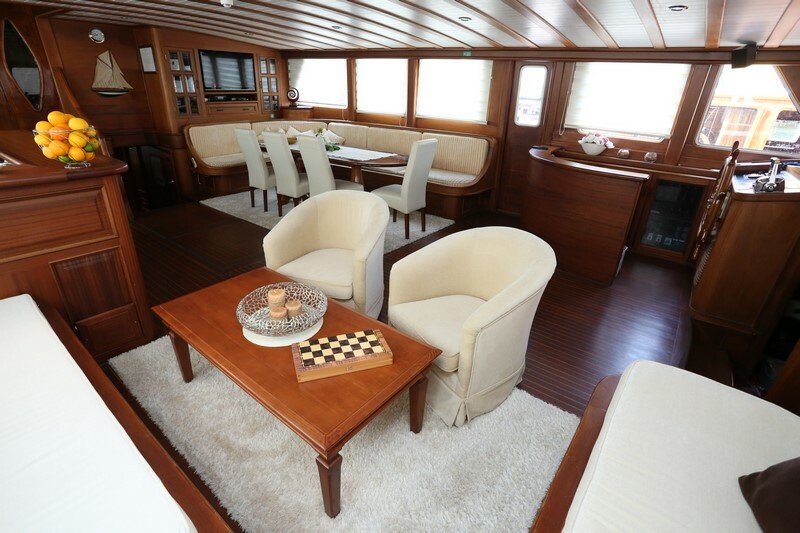 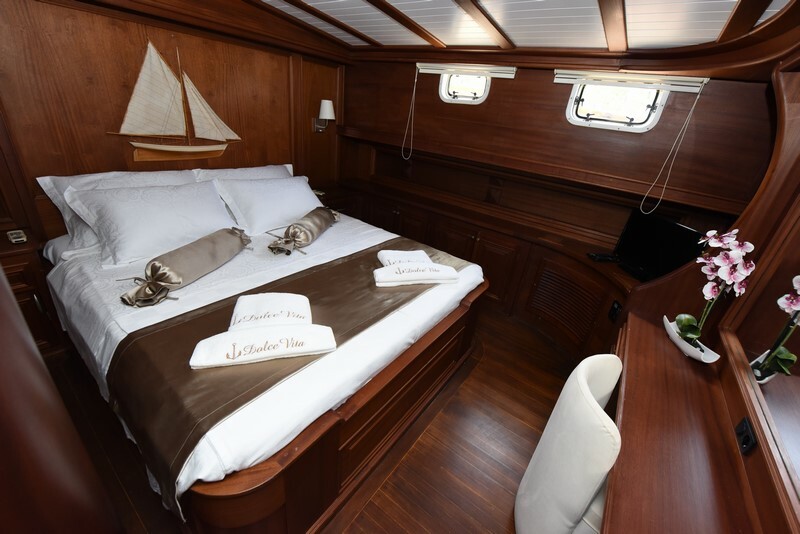 Due to 2 master cabins, 2 double bed cabins and 1 double bed cabin with an additional single bed, Dolce Vita offers a great flexibility of sleeping arrangements for a charter clientele of up to 10 persons aboard. 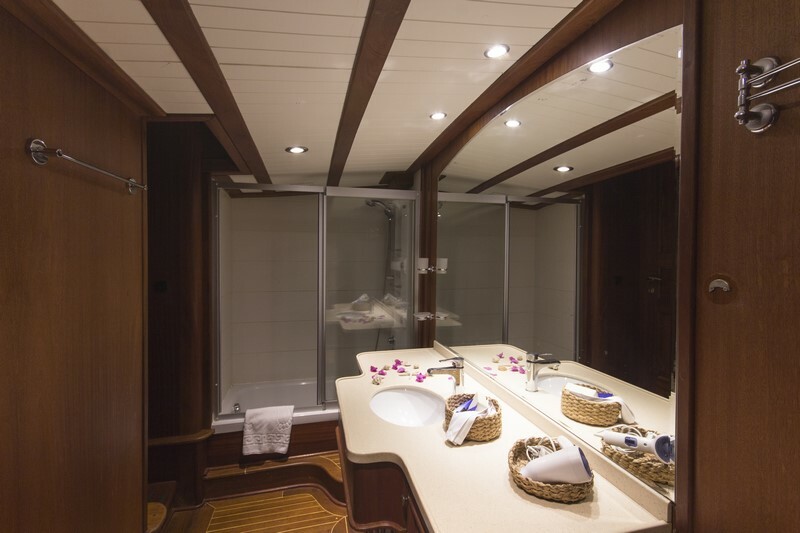 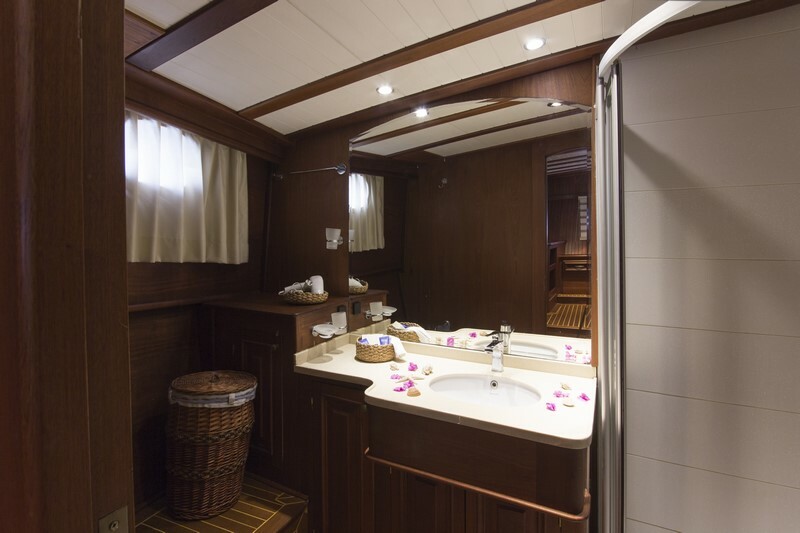 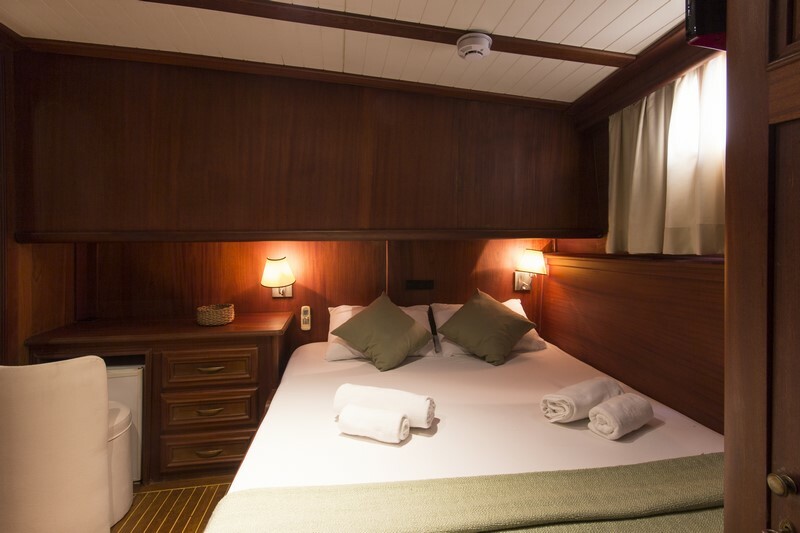 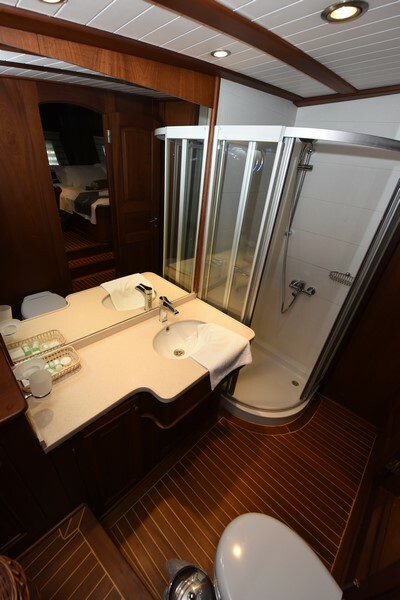 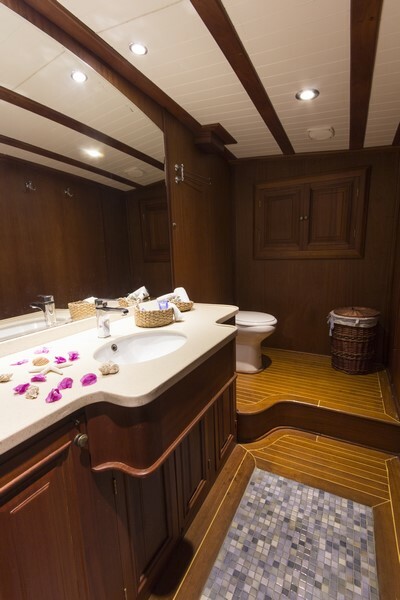 All cabins boast great attention to detail with modern-day amenities such as TV, minibar, DVD system, individual remote controlled air conditioning and en suite bathrooms. 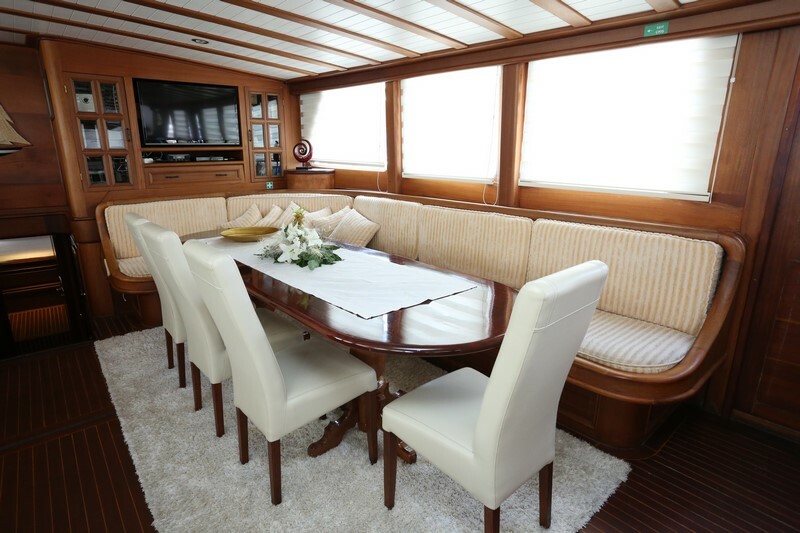 With its classic mahogany furnishings and white upholstery, the salon is a delightful entertaining and dining area. 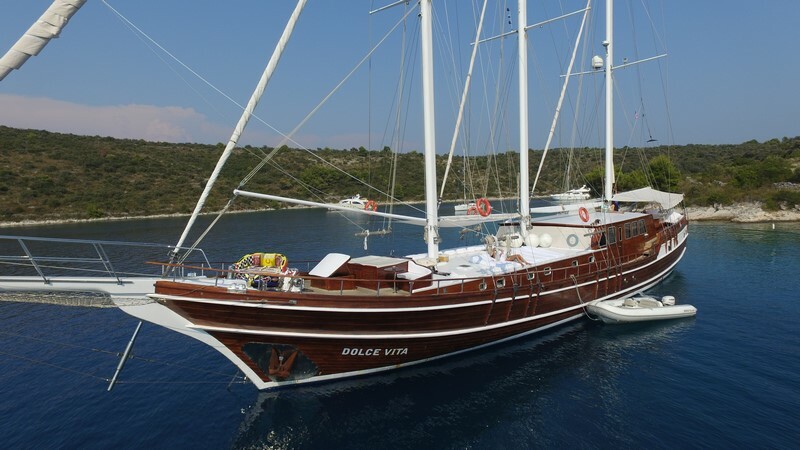 The outdoor areas of gulet Dolce Vita simply invite to relaxation, there are cozy sun mattresses, cushioned benches, cocktail tables and a Jacuzzi on the bow deck, whereas the stern deck has an amazing dining area covered by a large sun tent, an ideal place to unwind and sample a range of delicious meals prepared by the private chef. 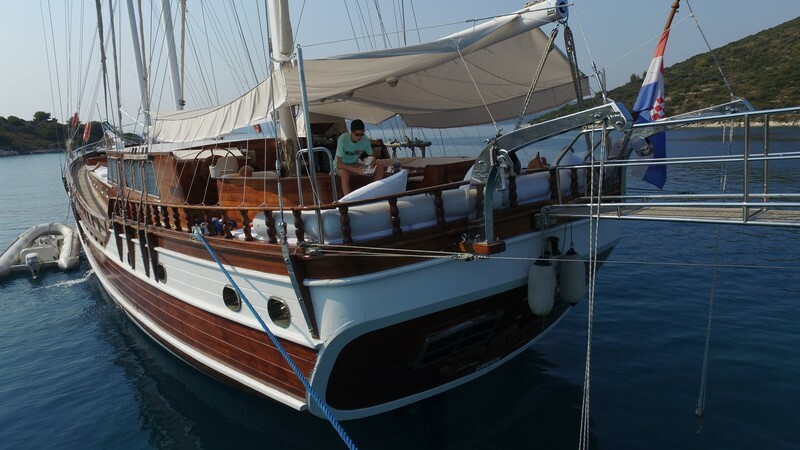 Days can also be spent fishing, snorkeling, windsurfing or waterskiing, due to an excellent selection of watersports equipment on board. 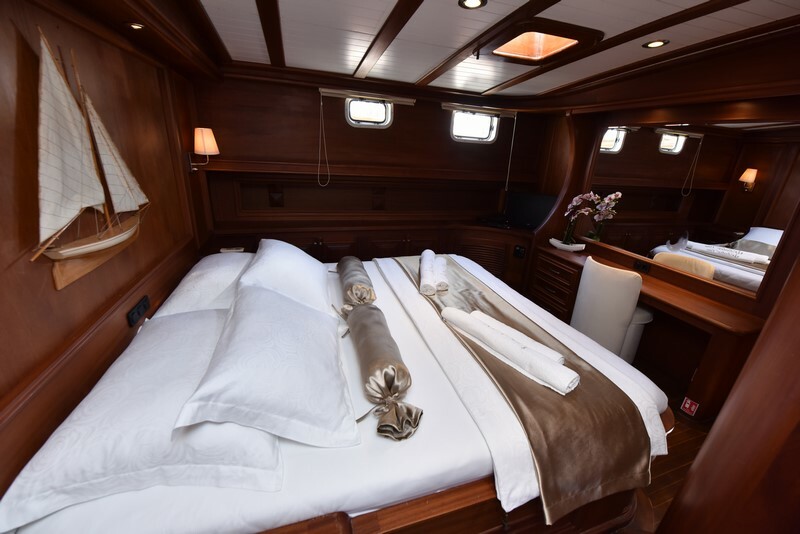 In addition, a variety of special programs may be organized on demand, such as naturist cruises, diving cruises with special diving packages and cruising for seniors on selected routes. 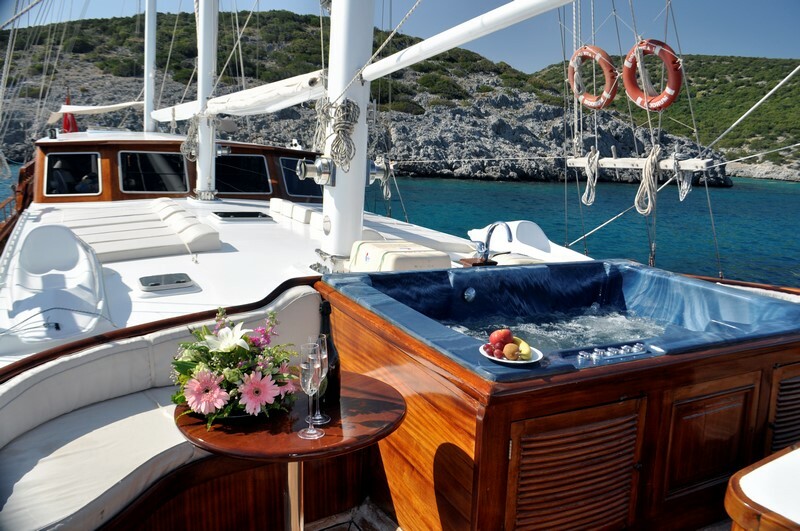 Dolce Vita comes with a crew of 5, whose ultimate goal is to deliver exceptional charter service during your cruise. 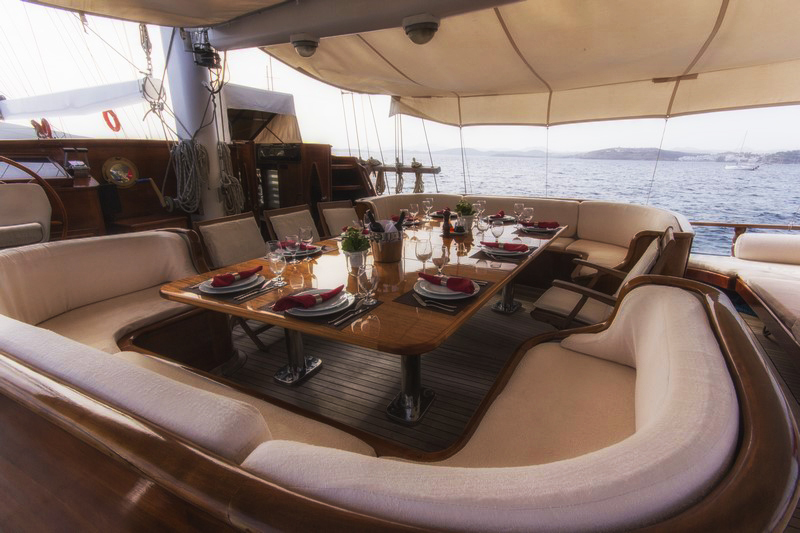 All guests should bear in mind that the charter price excludes food and beverages, however, in order to provide as personalized service as possible, the guests are kindly asked to select either a half board or full board option which are charged extra. 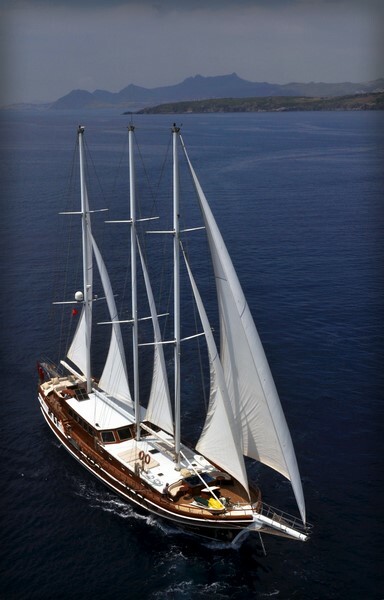 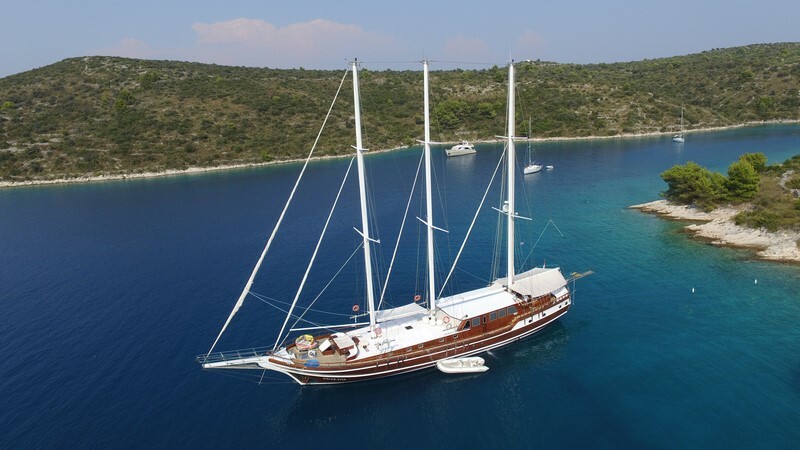 With a fantastic crew, a sophisticated design and a luxurious atmosphere, gulet Dolce Vita provides a perfect balance between conventional sailing and irresistible gulet cruises with a Mediterranean flair.